As children grow, they will outgrow a car seat and move up to the next phase. When you’re done using that seat, many parents don’t know what to do with them. A lot of parents will want to sell them because they made a big investment and want some money back, or they think that their seat has enough life in it for another family. This is not always the case. Has it been in a collision? Does it meet the January 2012 regulations? If your car seat is expired, then you should have stopped using it for your own child. Seats are only good for a certain period of time. Please read below for how to dispose of an un-safe seat. Was your car seat in a collision? If your seat has been in a collision, it must be disposed of immediately. Even a “minor fender bender” has potential to damage the seat. I hear a lot of parents say, “but it wasn’t a big collision, the seat is fine.” My question is always, “How do you know?” There is no way to know the extent of the stress that a collision (big or small) puts on a car seat. Manufacturers know this which it is why they print it in all car seat owners manuals to replace a seat after a collision. Why would want to take a chance, and guess that the seat is fine? It would be very unfortunately to get in a second collision only to find out that the seat was not fine, and your child is injured or worse. 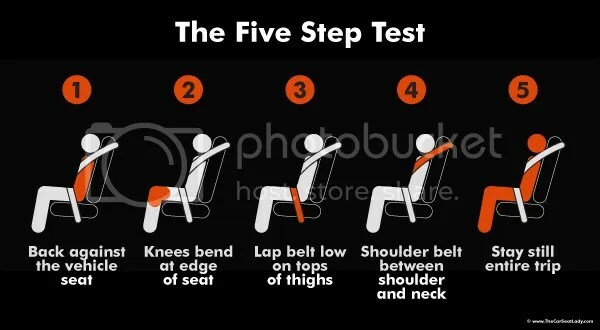 Does your seat meet the January 2012 regulations? If you have a seat made prior to January 2012, you can keep using it until your child outgrows it. You do not have to go out an replace your seats but that seat cannot change ownership. You will not be able to sell a used car seat that does not meet the January 2012 regulations. All seats that are sold, in a store or resale by a car seat owner, must meet these new regulations. you have to call the manufacturer of your seat and ask them. If your seat does not meet the regulations you CANNOT sell it or give it away. It is ILLEGAL! If your seat does meet the regulations or is made after January 2012 and is not expired or damaged: you are free to do with it as you choose. Please keep in mind that Health Canada has rules around what can be sold. Please read their “Facts for Garage Sale Vendors” for more info. Car seats must have a National Safety Mark and meet current regulatory requirements. Remember that it is illegal to sell car seats that do not meet the current regulatory requirements. You should always check with the manufacturer before selling a car seat. Car seats must come with warnings, guidelines for use, installation instructions, and date of manufacture. Do not sell a car seat that is past the lifespan recommended by the manufacturer or that has been in a vehicle during a collision. Before selling a used car seat, check with Transport Canada(1-800-333-0371 or www.tc.gc.ca/roadsafety) for more information and to find out if the car seat has been recalled. Also, be sure that it is in good condition with no missing parts and with functioning anchoring systems. 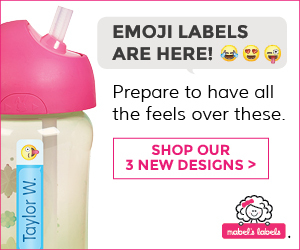 Please leave a comment below as other parents may have the same questions! Rachel is 8 years old. By law, in Ontario, she is old enough to ride without a booster. The Law is just a minimum! 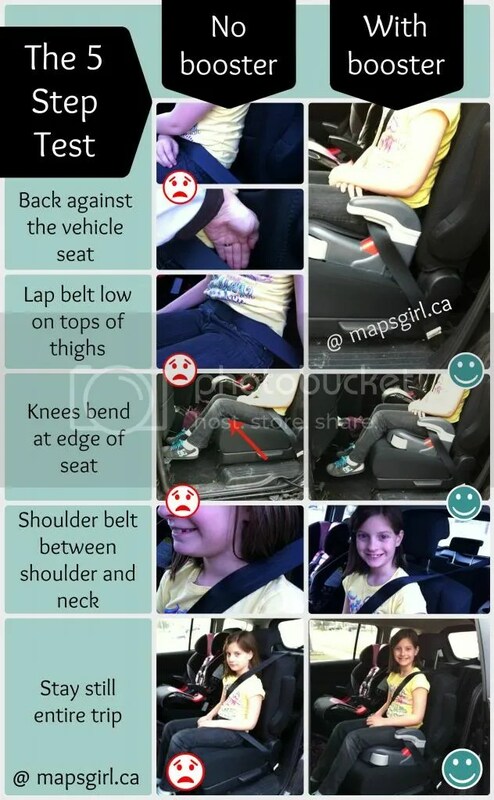 A booster seat is required to make the vehicle’s seat belt fit properly. Why should there be any law stating when you should stop using it? When we tested 8-year-old Rachel, the answer was NO to all 5 questions…. You can see in the photos that without a booster, Rachel does not fit in the seat belt. She CANNOT sit all the way back against the auto seat. Her knees DO NOT bend comfortably at the edge of the auto seat. The belt DOES NOT cross the shoulder between the neck and arm. The lap belt is TOO HIGH. It sits across her stomach. There is NO WAY that she would stay seated like this for the whole trip. When doing the test, Rachel even commented herself how uncomfortable the seat belt was across her neck. Educating Rachel about the safety of the seat belt and using is properly is very important. She will get questioned by her peers and now she has the confidence to say why she uses the booster! If you have any questions, please comment below!! I’m so excited!! Snuggle Bugz asked to me write a post for Car Seat Safety week! “One of the most difficult things for parents to understand is that not every child car seat will fit in every car. I love the relationship with Snuggle Bugz because they care about child passenger safety as much as I do! They have recently trained all their staff as car seat technicians so all of their customers can have peace of mind and know they are in good hands. This week Snuggle Bugz is having some fun events! They are having Car Seat Clinics, a Facebook party and a Twitter Party! Snuggle Bugz amd I want your child to be safe while riding the the car. The roller shades with the metal bar and suction cups can come loose and harm your child. 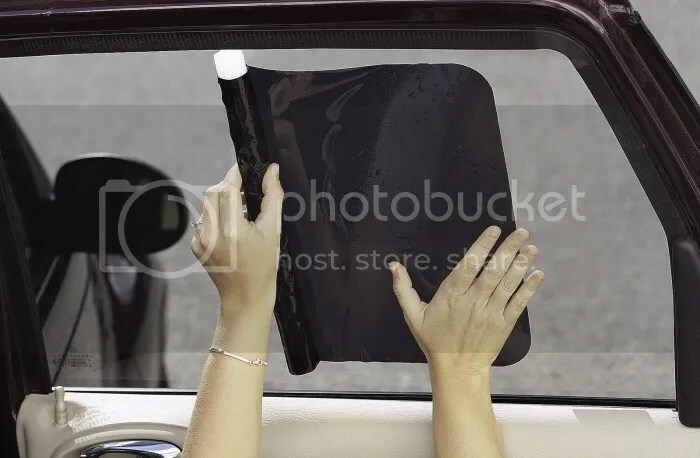 The cling shades are much safer! You can win a pair for you vehicle!! Contest is open to Canadians 18+ and will end Monday, May 20th at 11:59pm EST. Please get your child’s car seats checked! Don’t assume that they are installed or used correctly….80% of them aren’t! Is yours one of them? ?